The SP Ableware Inner-Lip Plate provides a pleasant dining option for the user with limited hand dexterity. Its high-walled edge keeps food from sliding off of the plate and allows food to be pushed onto a utensil with the use of one hand. This dish is dishwasher, microwave, and autoclave safe, with the exception of the Non-Skid version. It measures 9-inches in diameter and comes in red. 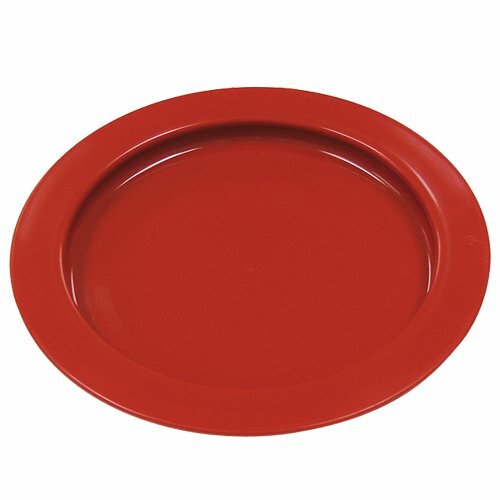 The SP Ableware Inner-Lip Plastic Plate comes with a one year limited warranty. Maddak specializes in home healthcare and rehabilitation products for the senior, disability and rehab markets. We have been recognized as the largest manufacturer in the United States of Aids for Daily Living (ADL). Maddak continues to design and manufacture products that increase mobility, maximize independence and enable people to live more rewarding, dignified and enriched lives.